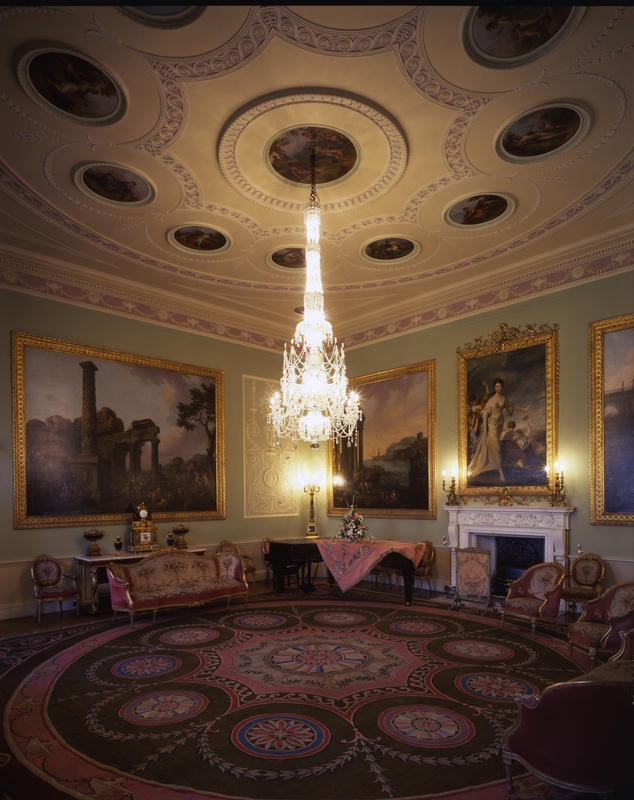 The chandelier in the Music Room at Harewood House. Photocredit: Harewood House Trust. In funding new collaborative projects, a key focus of the Exchange is not just on the project outcomes, but on the ways the partners think about collaborating in order to deliver these outcomes. The idea that effective collaborations can be designed from the beginning of a project is something which partners are encouraged to explore together, and so early on in our project I sat down with Ann Sumner, Historic Collections Advisor at Harewood, Zoe White, Education Manager and Rebecca Burton, Collections Assistant, to think about how best we could collaborate, and what the benefits for all of us would be. For this the Exchange provided a framework to help us think about how to formulate three ‘principles of collaboration‘ which would help us to plan how we would work together, and against which we would measure our success as we moved through the project. Each principle was to entail one or two expected benefits for one or both partners. The framework encouraged us to consider the values which we held in common and the ways in which we hoped to benefit from the collaboration – not just from the project itself – and to turn these into commitments to guide our work on the project. Electrical artefacts from the collections of the Museum of the History of Science, Technology and Medicine at the University of Leeds. For our first principle of collaboration, we thought that it was important to be able to understand each other’s respective work environments, and in particular to understand each other’s heritage collections and what we do with them. As well as Harewood’s extensive collections of art, artefacts, and archival resources, the University also has collections, such as the collections of the Museum of the History of Science, Technology and Medicine, which include old electrical artefacts many of which were used in local Yorkshire schools to teach physics around the turn of the twentieth century. For our first principle, therefore, we decided that we would make time to visit each other’s working environments and learn about respective heritage and cultural collections and exhibitions. I had already spent some time visiting Harewood, but at some point during the project Harewood staff would also come to visit the campus, and I would show them around. We anticipated two main benefits arising from this principle: firstly it would help each partner to appreciate the institutional structures, physicality and the working practices, patterns and methodologies, of the other, and secondly it would increase our awareness of each other’s heritage and cultural visitor offers, and how we utilise and display our respective collections. Another of the points on which we decided was that we would try to plan for meetings to last a little longer than we might otherwise have done in order to ensure a more relaxed atmosphere which would allow space for creative and innovative ideas to develop. We hope that this will enable us to establish good personal relationships with the partnership which will encourage us to want to collaborate again – this is tricky as we‘re all very busy, but so far it seems to be working!